If you’ve been hurt, due to someone else’s negligence or malice, you need to file a personal injury lawsuit before time runs out. There is a statute of limitations in place in the state of Nevada of two years from when you begin to suffer from the injury. This statute was put in place to prevent an excessive passage of time from degrading the evidence involved in the case. If you fail to file a personal injury lawsuit in this time, you will most likely lose the right to even file a case. There are some cases, including medical malpractice, that have a S.O.L. of one year. There was an average of 45,500 personal product liability lawsuits filed between 2013 and 2016. These personal injury lawsuits were filed against airplane products, asbestos products, healthcare/ pharmaceutical companies, marine products, and motor vehicle products. Many of these cases never saw the inside of a courtroom. many were settled outside of court once enough evidence had been accumulated and presented to the insurance carriers. If you want to win your case or a settlement, you need to be prepared for the process used to file a personal injury lawsuit. No two personal injury lawsuits are the same and each one is handled based on the circumstances of the event. Below is a brief overview of some of the steps involved when you file a personal injury lawsuit. 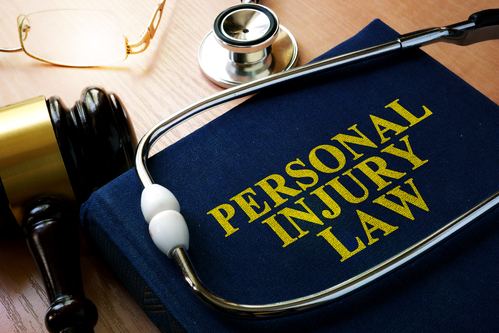 Directly following an accident in which a personal injury has occurred, it is important to consult with an experienced personal injury lawyer. They will help you to determine whether you have a viable case or not. They will determine whether there was any negligence by another party and if there is a defendant to seek compensation from. They will also establish the extent of your injuries, your medical costs, and legal options that were incurred as a direct result of the wrongdoer’s negligence or malice. If you decide to retain an attorney to help with your personal injury case, they will conduct a full independent investigation. They will want to review police reports, sometimes even the scene of the accident, witness testimony and statements, medical records, and more. They might collaborate with accident reconstruction experts, medical experts, and other experts, as needed. If a black box or video footage is available of the incident, they will want to obtain a copy. Finally, they will examine any possible defenses the opposing party may use against your claim. As part of the insurance claim, you will submit a demand package to the opposing party. It will outline your case, their liability, and damages. This can be your medical bills, lost wages, pain and suffering, loss of life’s enjoyment, and future medical care. After receiving this demand package, the opposing party will either accept it, reject it, or provide a counteroffer. A lawsuit is officially filed with a court of law if the insurance claim is not settled. Your lawyer will handle this part of the process to ensure an accurate filing. During the Discovery Phase, the plaintiff and the defendant both gather more evidence from one another. After a thorough evaluation of each other’s case, the parties will decide if they want to move forward with the trial or settle. Many cases will enter first in mediation before the actual trial. This is a time for both sides to sit down with an impartial mediator and attempt to reach an agreement. If your case does not get resolved at mediation, it will then proceed to trial. If the case still isn’t settled, it will move on to a trial. Each side will have a chance to present the evidence they have collected. A decision maker (either a jury or a judge) will evaluate the evidence, determine any fault, and if so, award damages. The losing party can appeal the decision of the case. There are several issues that are taken into consideration before filing an appeal. It is quite different from the trial process. It is highly recommended to work with an experienced appellate practitioner. You can file a personal injury lawsuit on your own. However, filing a personal injury lawsuit and defending it is a difficult process. The defendant is going to have an experienced lawyer and you should have an experienced personal injury attorney too. Through his tenacious pursuit of justice, Jesse Kalter has handled countless personal injury lawsuits, ensuring his client got the settlement they deserved. Jesse Kalter is available to serve the people of Reno, Sparks, Carson City, Fallon, Fernley, Dayton, Yerington, Douglas County, and all other Northern NV rural counties. An Experienced Personal Injury Lawyer For Your Day in Court. ← How Long is a Personal Injury Lawsuit Timeline and What is the Cost to File?